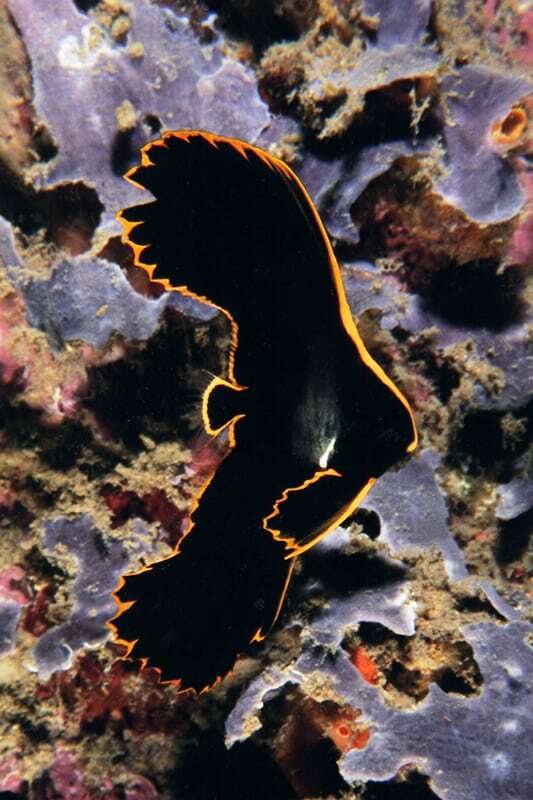 Lembeh Strait is undoubtedly a special place in terms of diving. 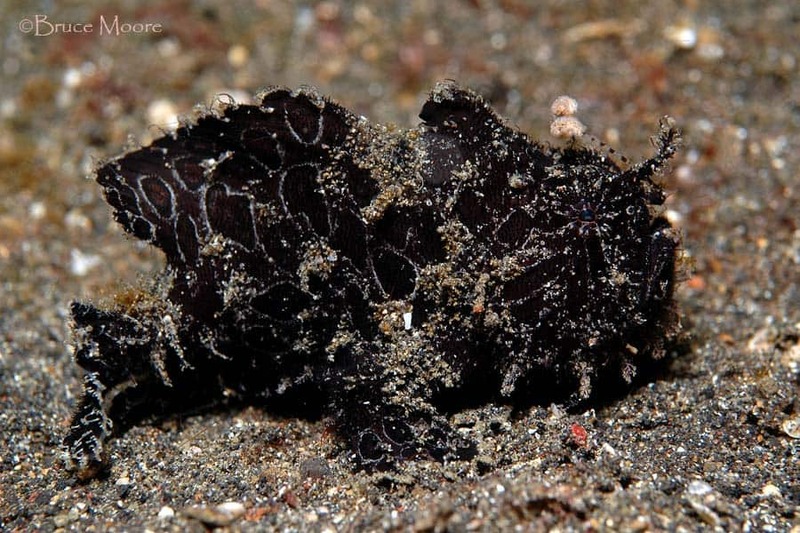 What is considered rare elsewhere is relatively common here, including critters such as hairy frogfish, mimic octopus, mandarinfish, devilfish, flamboyant cuttlefish, ghost pipefish, pygmy seahorses and much much more…. 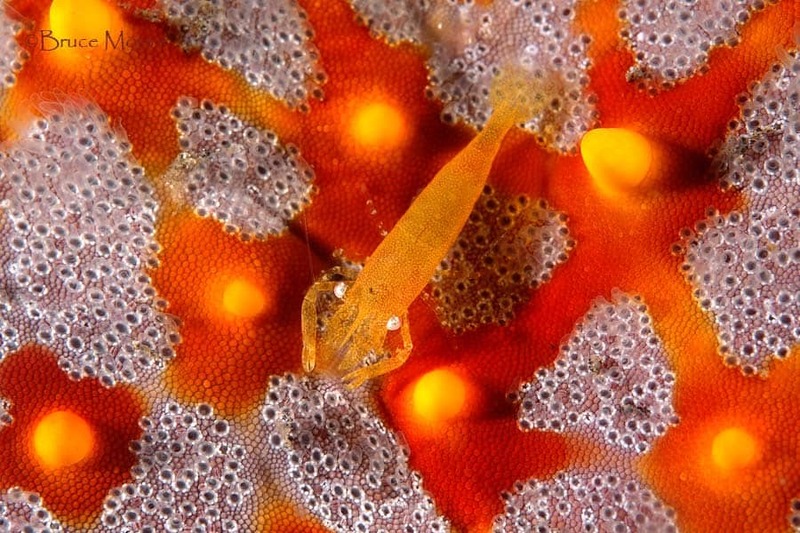 It is important to note that dive sites can seem overflowing with critters for a month or two and then seem devoid of inhabitants for a period of time. 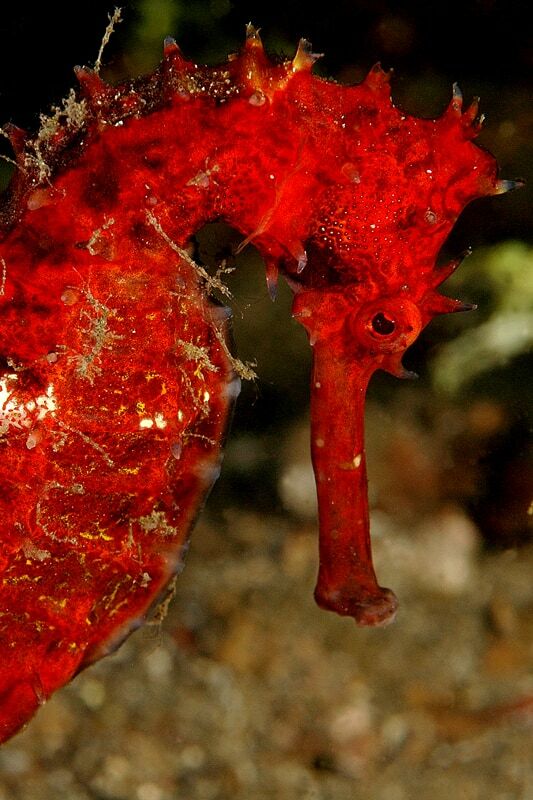 What we see on our dives is for the most part seasonal. 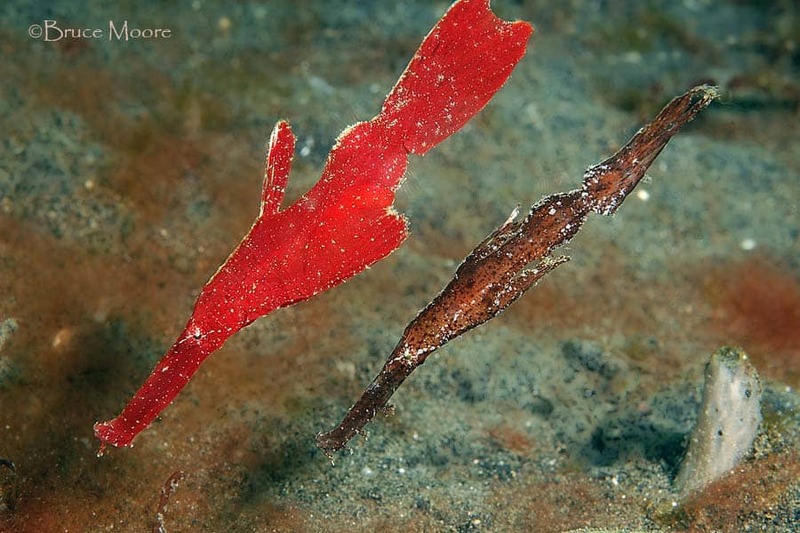 There can be multiple ornate ghost pipefish on numerous sites at one time and a few weeks later none at all to be found. We have not spotted any juvenile zebra batfish for months on end and then have found five simultaneously on different dive sites. A few distinct species of nudibranch can seem to infest certain sites for a few weeks and then all disappear for a different set of nudis to follow. 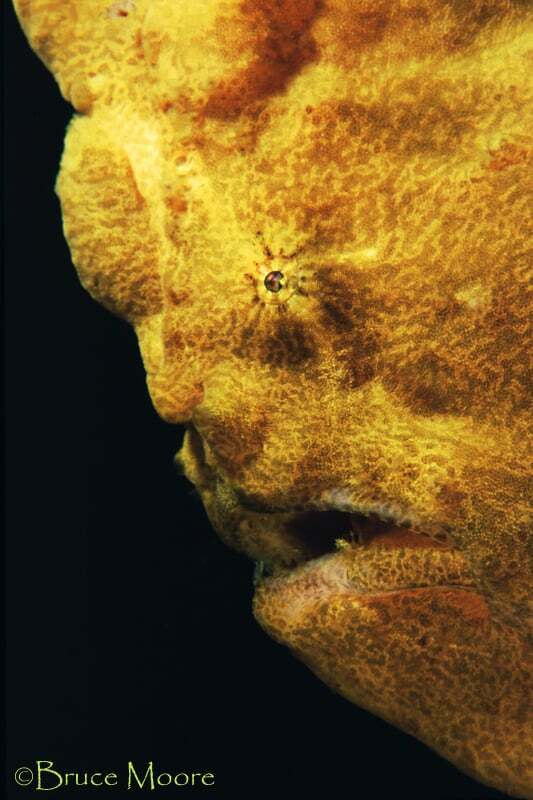 Some months can have frogfish or octopus seemingly everywhere in abundant numbers, but the same month a year later can have much fewer. We survey new areas and check out-of-use sites methodically to determine which areas are the most fruitful. In the middle of a huge expanse of quiet sand can be a small patch magically teeming with critters of interest. There is always something new and exciting to see, even for us. Change remains constant, but there are certain sites that are better than others when it comes to consistently spotting notable critters. Lembeh Strait is auspiciously located in the famed “Coral Triangle”, which boasts the greatest marine biodiversity on the planet. As one move away from this area, the numbers of marine species decrease dramatically. Why are these waters so rich? It most probably is no coincidence that the largest water movement on the planet, known as the Indonesian Throughflow, splits past the northern tip of Sulawesi. To the north of Sulawesi, a string of volcanic islands form a chain all the way to the island of Mindanao in the Philippines. Below the water this chain forms the Sarangani Sill, which divides deepwater basins to the east and west. To the west of Sulawesi is the Sulawesi Basin, while to the east there is the Philippine Sea and the West Caroline Basin. The movement of water westwards from this basin begins the Indonesian Throughflow. Hitting the Sarangani Sill, the shallow portions of this water flow over this barrier and continue westward and down the west coast of Sulawesi. The deeper waters hit the barrier and are diverted southward down the eastern side of Sulawesi and through the Moluccan Islands. Most of North Sulawesi lacks a continental shelf, which means that abyssal depths exist directly offshore and these deeper, nutrient-rich waters are forced upwards and churned with surface waters as they are flushed through the narrow confines of the strait. Though currents are strong in the main channel, there are numerous small bays out of the current stream suitable for easy diving in which the nutrients settle to foster the rich biodiversity that our region is renowned for. Our strategic location in Kambahu Bay has us located right amongst the best muck dives in the entire strait. Most of our boat trips to the dive sites are ten minutes or less. This gives you more time for relaxing at the resort rather than spending a large chunk of your day bobbing around on a boat. With a maximum of four guests per boat, we’re keeping the dive groups small, while most of the other resorts in the area put 8, 12 or even more guests per boat, which results in a lot of the sand bottom being kicked up and pile-ups ensuing at special critters. All of our boat dives are out-and-back, so you are not obligated to do two morning dives if you do not wish to. Sleeping in with a late breakfast is a viable option. The first boat dive of the day is at 8:00, with coffee/tea and a snack awaiting at the Dive Center on your return. The second boat dive departs at 11:00. We ask or guests to limit their bottom time to 75 minutes on boat dives so that we can keep to our schedule and ensure safe surface interval times. As your lunch was ordered immediately after breakfast, your meal will be quickly served as soon as you seat yourself in our restaurant for lunch, allowing you time to relax before the afternoon dive, which leaves at 2:30. Night boat dives are available on request and depart between 5:30 and 6:00, depending on the time of year. Unguided or guided House Reef dives, day or night, can be arranged by our dive staff. Simply ask. The House Reef is open at 8 am and we ask our guests to be out of the water by 8 pm. Our staff will help with your equipment, cleaning it and hanging it up for you in your equipment locker at the end of your diving day. The next morning they will have your bcd and regulator set assembled and ready aboard the boat. If doing a self-guided beach dive, we do ask you to rinse and store your equipment yourself. 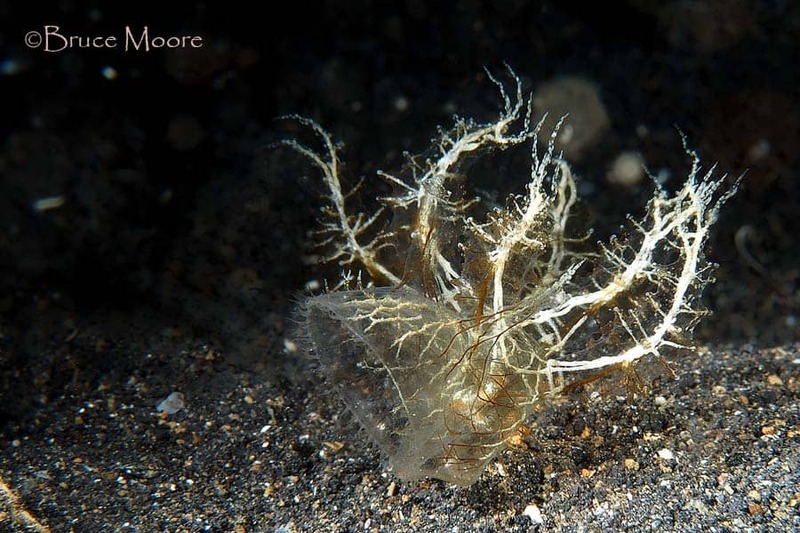 Being sheltered, Lembeh can be dived year-round, though some critters are seasonal, meaning that there are different things to see depending on the time of the year. The average water temperature is 28˚C (82˚F). We recommend wearing full wetsuits to conserve body heat on the multiple dives done daily, which are usually shallow, meaning long. 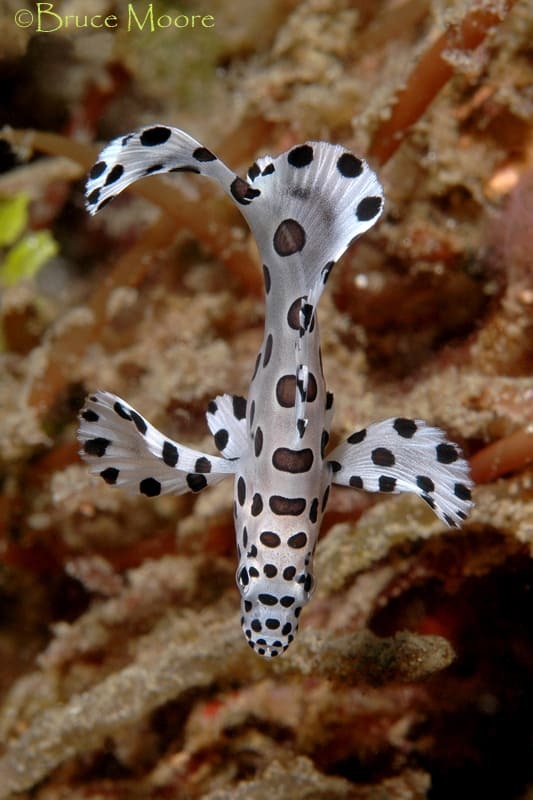 We do get thermoclines moving in from time to time, which is beneficial as cold upwellings spur mating cycles in nudibranchs, pipefish and other species. The visibility is also less than many dive destinations on average, owing to the nutrients in the water that are the reason for the wealth of biodiversity. Visibility averages 10-15 meters, though it can be a bit less or as good as 30 meters. In general, the northern Lembeh Island sites offer clearer water, increasing in clarity as one heads north from mid-island into more open waters. But low visibility does not lessen the experience as the attractions can be viewed from close quarters. 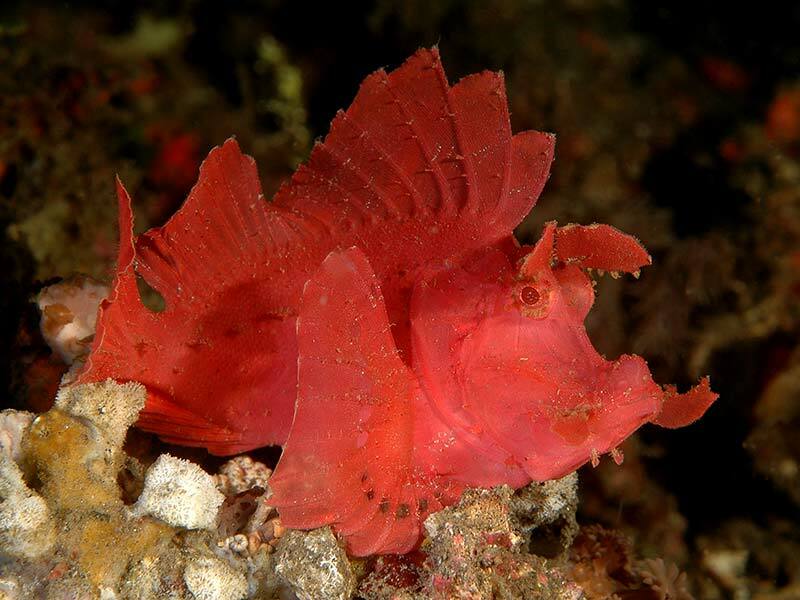 Right off our beach is some of the best diving in Lembeh Strait. The established dive sites of Hairball 3, TK1 and TK2 are literally at your doorstep. With two paid boat dives daily, guests can take a tank and have a free self-guided House Reef dive while guests on 3-dive / day packages have unlimited access. We no longer allow solo diving on the House Reef according to local law, though guides can be booked on request to help get the most out of our front yard, depending on availability. Because of a lack of currents, it can be safely dived at any time, and it is at night that it is especially incredible. 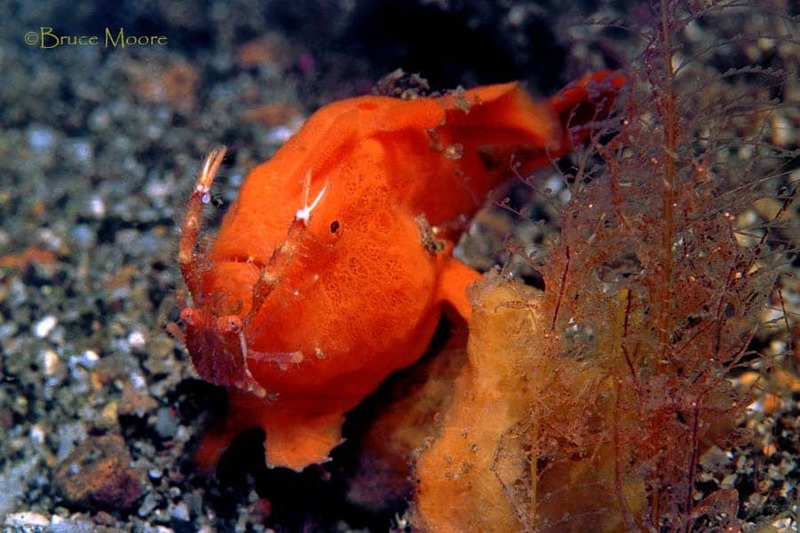 All of the iconic muck critters are regularly encountered: frogfish (nine species, possibly more), octopus (mimic, wonderpus, ocellated, white-v, brown mimic, reef, algae and hairy), squid, cuttlefish (including flamboyant cuttlefish), bubble shells, spanish dancers and far too many more nudibranch species to list, stargazers, various waspfish, ghost pipefish (robust, delicate, velvety, ornate and filamented), pipehorses, sea horses, bamboo and coral cat sharks, heaps of banggai cardinalfish, flying gunards and fingered dragonets, juvenile clown sweetlips and barramundi, an incredible variety of lionfish and scorpionfish species, numerous snakes, moray and ribbon eels, rays, crustaceans galore and much more. There is so much to see in the shallows that divers usually never even reach 15 meters in depth. 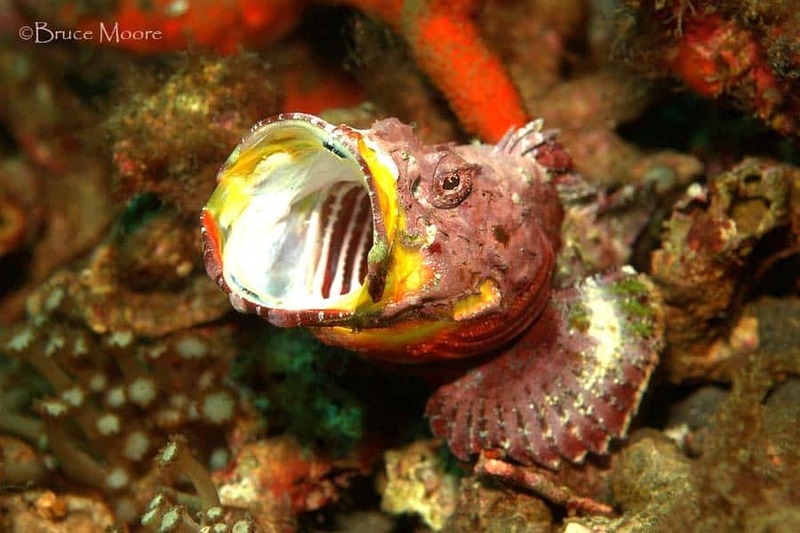 Dr. Gerry Allen called our House Reef “Shrimp Goby Heaven”. With this much to see in such easy conditions directly off our beach, divers can be assured of getting what our beloved friend Larry Smith would call “Maximum Critter Overload” and photographers can have all the time they wish to get that elusive perfect shot. Tauchen Magazine (Germany) listed us in December 2018 as “One of the 40 Best House Reefs in the World”.